The Pony was built between 1948 and 1957. It had a little Continental 4-cylinder engine rated at 1800 RPM and was capable of 10 HP on the drawbar. 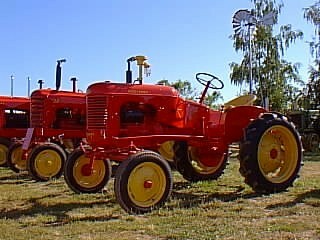 It was built only as a standard-tread model and was sold at the time for about $900.00 - additional optiosn were available such as a belt pulley, PTO and a hand-lift for implements.